Over the years there have been several experiments that have tested the effect of intentions on biological matter, such as seeds, plants, bacteria, and organic matter. 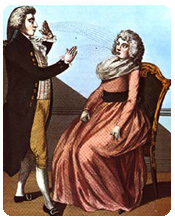 It does not seem to be general knowledge that there were attempts of this sort reported in the mesmeric literature. “Plants like animals may feel, from man’s magnetism, dire or advantageous influences, according to the intention of the acting will. I have not been able to do with plants as many tests as I have done on animals; nevertheless I have magnetised several shrubs . . . and I have succeeded completely . . . a weak shrub, in an extreme state of deterioration, magnetized each day, morning and evening, became a remarkable beauty with a remarkable strength in less than one month, while on the contrary another shrub of the same family, an admirable plant, placed under the same conditions as the first . . . and magnetized the same period of time with contrary intentions, lost its leafs gradually, lost its greenery, and became completely worn out. I repeated these tests rather often to appreciate the good and the bad influence which one can exert, through magnetism, on plants” (pp. 334-335). 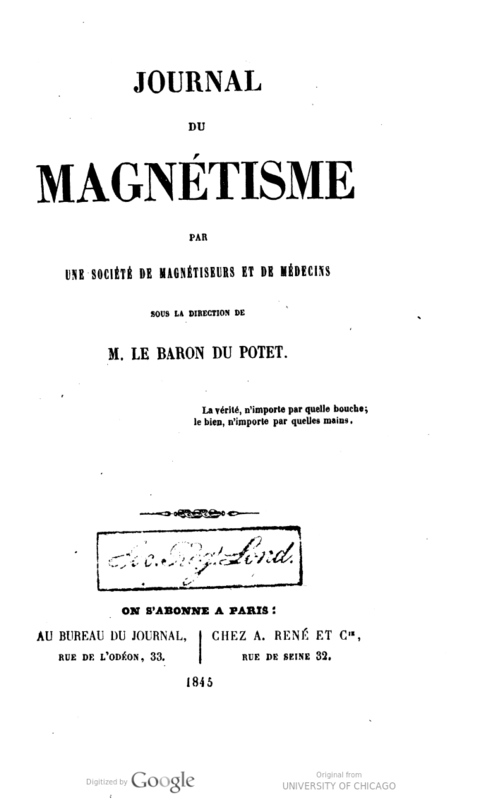 The mesmeric literature offers many other examples of such effects, such as the one authored by Dr. Picard, a physician from Saint-Quentin (“Application du Magnétisme aux Végétaux” [Application of magnetism on plants]. 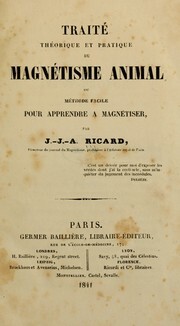 Journal du Magnétisme, 1845, 1, 477-480). Out of six roses planted on April 5, Picard magnetized only one in the morning and in the evening for around five minutes. On the tenth, the one that was magnetized, already had two shoots about one inch in length, and on the 20th the other five had barely started to grow. On May 10, the magnetized one had two shoots “40 centimeters high, with ten buttons on top, while the others had 5 to 10 centimeters, and the buttons were far from appearing. Finally, the first bloomed on May 20, and gave successively ten beautiful roses! … Its leaves were about double in length than those of other roses.” (p. 78). These old reports may not offer much methodological rigor when looked from the point of view of modern research techniques, but they are of historical interest to modern researchers interested in mental influence on biological systems.